As preparations continue across all series for 2018, the Asian Le Mans Series entered its second round for the 4 Hours of Fuji on Sunday December 3. Jackie Chan DC Racing X JOTA dominated the event by taking first and third in the LMP2 class with the #8 Nissan-powered ORECA 05, piloted by Thomas Laurent, Stéphane Richelmi and Harrison Newey crossing the line over a minute ahead of the #37 BBT Ligier JS P2 driven by Anthony Xu Liu, Pipo Derani and Davide Rizzo. 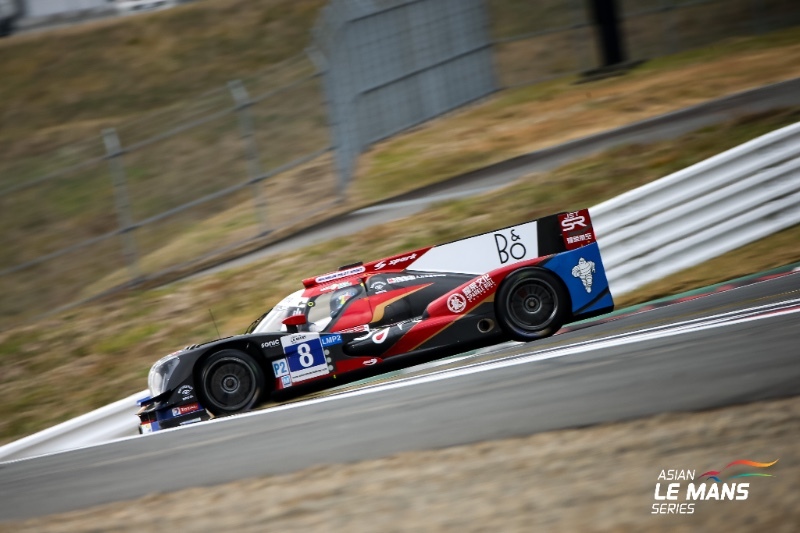 The sister Jackie Chan DC Racing X JOTA entry, the #7 ORECA driven by David Cheng and Jazeman Jaafar took the final podium position in the LMP2 class. The Chinese team, managed by Kent-based JOTA Sport also won the LMP3 class after its #6 Ligier JS P3 piloted by Patrick Byrne and Guy Cosmo crossed the line some four laps ahead of the #65 Viper Niza Racing entry. You can read about the race here. 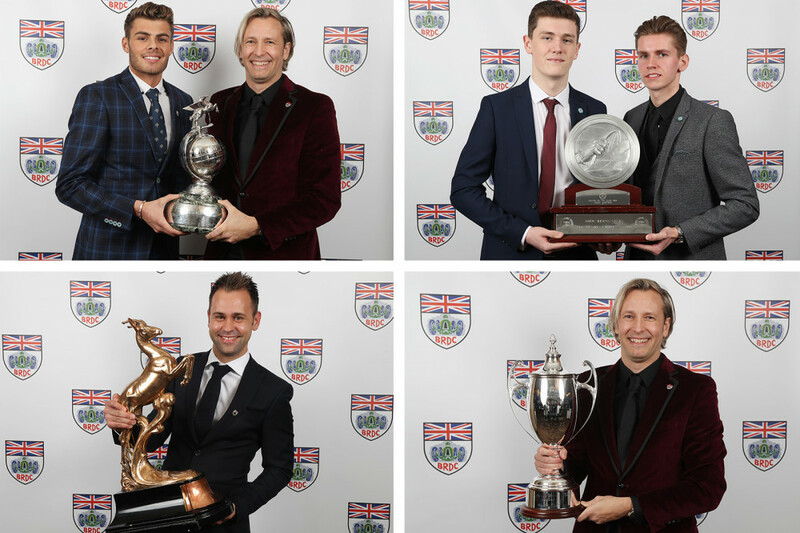 The British GT Championship was well-represented at the annual British Racing Drivers Club awards. 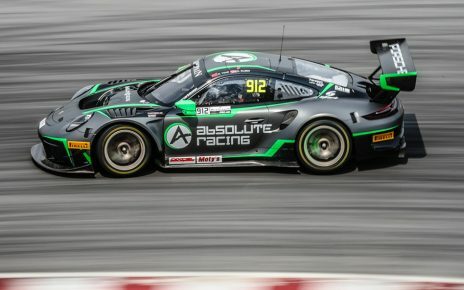 Team Parker Racing duo Rick Parfitt Jnr and Seb Morris, 2017 Champions in the team’s #31 Bentley Continental GT3, won the John Cobb Memorial Trophy, an award given to drivers racing a British car ‘who achieved success of outstanding character’. 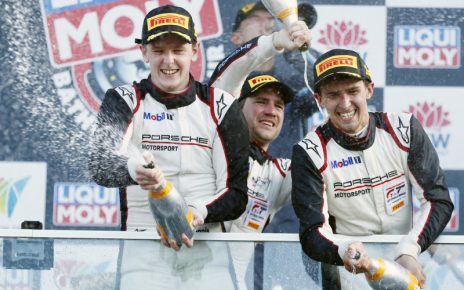 GT4 Teams and Drivers Championship-winning HHC Motorsport drivers Will Tregurtha and Stuart Middleton were the first joint winners of the Henry Surtees Trophy, acknowledging the most outstanding performances by BRDC Rising Stars. A report on the BRDC awards can be found here. 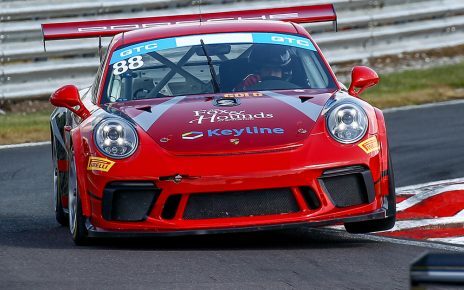 HHC Motorsport was in the news again after it announced its driver line-ups for the 2018 British GT Championship. The 2017 Teams and Drivers championship-winning team will be campaigning two Ginetta G55 GT4s in 2018, one with a Silver-graded pairing and the sister car with a Pro/Am line-up. Ginetta GT4 Supercup champion Callum Pointer will be joined by Ginetta Junior Rookie of the year Patrick Mathiesen in a Silver Cup-entered GInetta G55 GT4. In the sister Pro/Am entry, 2017 BTCC driver and 2016 Ginetta GT4 Supercup vice-champion Will Burns will partner Mike Newbould. Talking to Motorsport News, team manager Charlie Kemp described how he felt with the new driver line-ups announced for 2018. The FIA World Motor Sport Council approved evolutions to its World Endurance Championship. In summary, the LMP1 title will move to a team recognition rather than a manufacturers title. Only the points of a team’s highest placed finishing car will count towards the teams title. Points awarded will depend on the duration of the race with the 24 Hours of Le Mans awarding 50% more points than a six-hour race and the Sebring twelve-hour race awarding an additional 25% points haul. Tyre changes will be allowed while cars are being re-fuelled. You can read a further summary of the changes here. Finally, all eyes are now focused on the 2018 running of the Rolex 24 at Daytona. United Autosports has announced that Bruno Senna will be joining Will Owen and Hugo de Sadeleer in one of its entries while Fernando Alonso, Lando Norris and and Phil Hanson will pilot the sister car.